Are modern flea control products ineffective? A review of recent research answers this important question. Research shows that the common cat flea (Ctenocephalides felis felis) has developed resistance to some flea control products that have been used on pets and in the environment for many decades, such as organophosphates, pyrethroids, and carbamates. 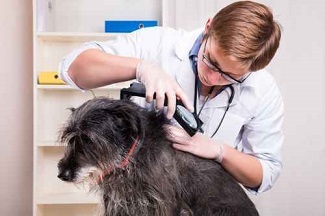 Now, however, concern has grown that because of the development and widespread use of newer products, including convenient oral and topical agents, fleas could be showing evidence of resistance to these chemicals. According to Michael K. Rust, PhD, professor of entomology at the University of California, Riverside, research does not support the suggestion that they are. Dr. Rust discussed his recent work in a review article published in Insects. In his review, Dr. Rust defined and challenged the concept of resistance by examining research published throughout the world on hundreds of flea strains known to parasitize cats and dogs. Laboratory simulations and on-animal studies were included in his analysis, which used laboratory animals, pets, and dogs and cats representing stray populations. Chemical susceptibility studies involving multiple stages of C. felis (larvae, eggs, and adults) were reviewed, and laboratory data detailing genetic mutations known to be responsible for the development of resistance among fleas were incorporated into the analysis. What Does Resistance Really Mean? Dr. Rust defined resistance as “a heritable change in the sensitivity of a pest population that is reflected in the repeated failure of a product to achieve the expected level of control when used according to the label recommendation for that pest species.” Although resistance has been documented for some traditional flea control products used in the environment and on pets, he notes that significant decreases in susceptibility have not been demonstrated for the neonicotinoids (eg, imidacloprid, dinotefuran) or phenylpyrazoles (eg, fipronil). Researchers investigating insecticide resistance typically consider a list of variables that may contribute to the required genetic mutations in fleas. These can include the number of offspring a flea strain typically produces for each generation, how quickly new generations are born and reproduce, and the number of generations produced per year. Other factors affecting the likelihood of insecticide resistance include the chemical behavior of the insecticide itself, how long residues persist in the environment and on pets, and how many treatments are required to achieve the desired effect. Conversely, certain factors tend to help reduce the chances of resistance developing for a specific insecticide. These factors include using a chemical that is effective against more than 1 flea life stage (eg, a product that is adulticidal, larvicidal, and/or ovicidal). Products that kill adult fleas quickly enough to prevent feeding and egg deposition may have an advantage, Dr. Rust notes, as they help disrupt the life cycle (by preventing egg production) and prevent access to adult flea feces that larvae need for their development. Similarly, products that interrupt flea development in the environment are less likely to be associated with resistance. Agents such as fluralaner, lufenuron, methoprene, pyriproxyfen, selamectin, fipronil, and imidacloprid have this advantage. Further, products that demonstrate multiple modes of action or synergism between their chemical components may have an advantage that limits the likelihood of fleas developing resistance. Dr. Rust points out study results that suggest possible synergism between methoprene and fipronil and between pyriproxyfen and methoprene. Dr. Rust writes: “Since the introduction of the [insect growth regulators] lufenuron, fipronil, and imidacloprid in the mid-1990s, there has been little direct evidence of resistance developing to them.” Although variability in responses by some flea strains to fipronil and imidacloprid has been noted, he comments that there has been no significant reduction in the susceptibility of fleas to these agents. His findings make a compelling case for the assertion that resistance to newer products such as fipronil and imidacloprid has not been proven based on available data. He does caution, however, that “product failures” have been reported for some currently used flea control products, but these failures can generally be attributed to improper use of the product and not to fleas’ resistance to the active ingredients. According to Dr. Rust, inappropriate application or administration of the product, failure to treat all pets in the household, frequent bathing (which can reduce the effectiveness of some topical products), and discontinuing treatment during the winter months can contribute to treatment failure. Additionally, pets that have been treated successfully with a product can become reinfested with fleas, which could be misinterpreted by some pet owners as a treatment failure. Urban and suburban wildlife, such as raccoons and opossums, can contribute to reinfestation of household pets that venture outdoors. Fleas are a significant parasite affecting the overall health and well-being of cats, dogs, and the humans who share their lives. Veterinarians and researchers should understand how chemical resistance develops, become familiar with factors that help reduce the likelihood of chemical resistance, and work to help determine the best ways to prolong the longevity of the safe and highly effective parasiticides currently on the market. Dr. Todd-Jenkins received her VMD degree from the University of Pennsylvania School of Veterinary Medicine. She is a medical writer and has remained in clinical practice for over 20 years. She is a member of the American Medical Writers Association and One Health Initiative.